Professional Powerful motor for all day Juicing. The Juice O Matic SM Juicer comes with elegant appearance and a compact countertop designed for power, durability and unlike other power juicers easy to use & store. Found in restaurants and juice bars in India, it has proven to be the best power juicer in the market with 925 Watts powerful motor for all day juicing solutions. Serious juicing consumers would not need adequate counter space in their home kitchens in order to use it. 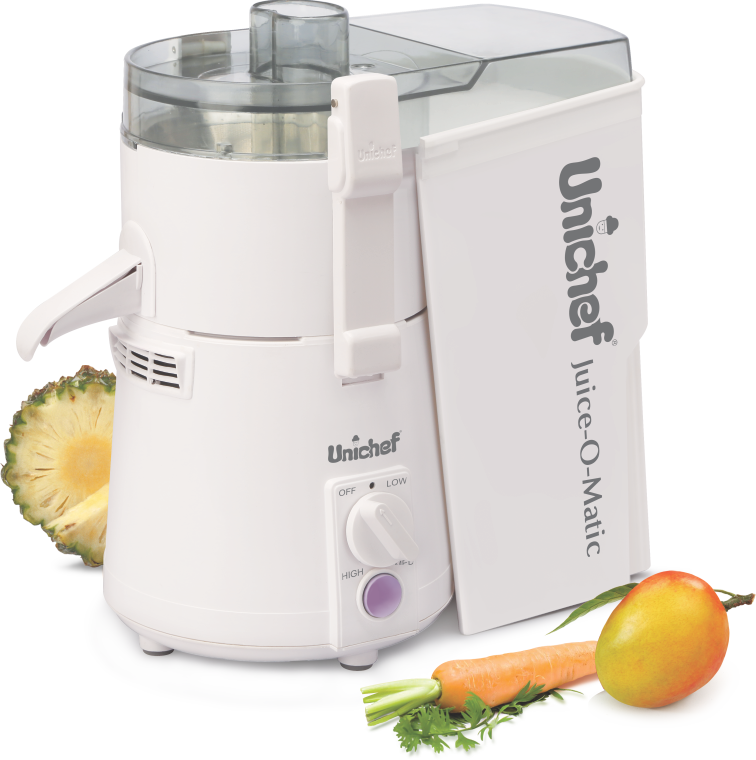 The Juice O Matic SM is ideal for Juice Bars, Restaurants, Spas, Health Clubs, Institutions- and obviously ideal for a place where it should be, a Home Kitchen for a Healthy Juicing Power as its critically balanced blades and micro thin mesh makes juice from fruits and vegetables in quick seconds.